The process began with an exploration of prime examples of architecture, from built specimens to speculative utopias. 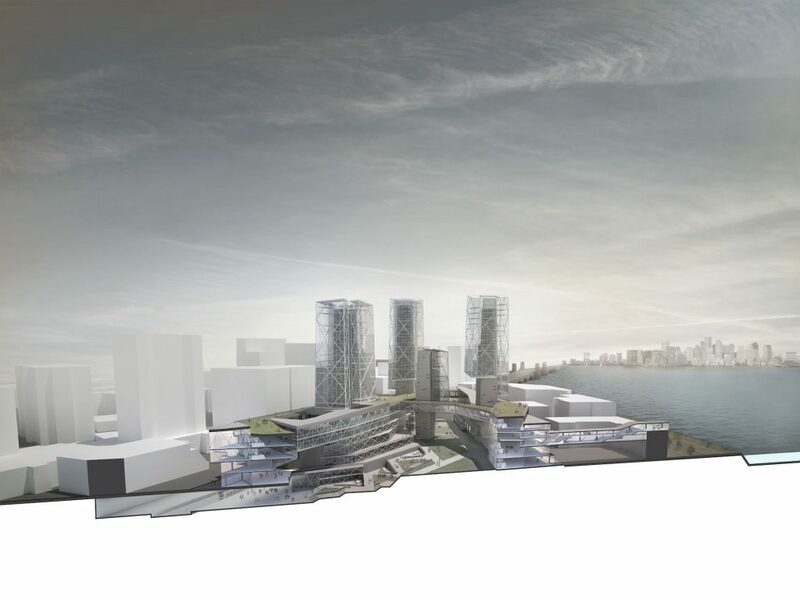 The goal was to investigate the legacy of these models and adapt their principles to create an urban innovation hub for the Massachusetts Institute of Technology and the city of Cambridge. The research also studied the influence of the post-war mega structure as a model for city–making. The design ultimately came from an in-depth analysis of two architectural utopian visions from the past: The Golden Lane project from Alison and Peter Smithson and the Shinjuku Project of Arata Isozaki. 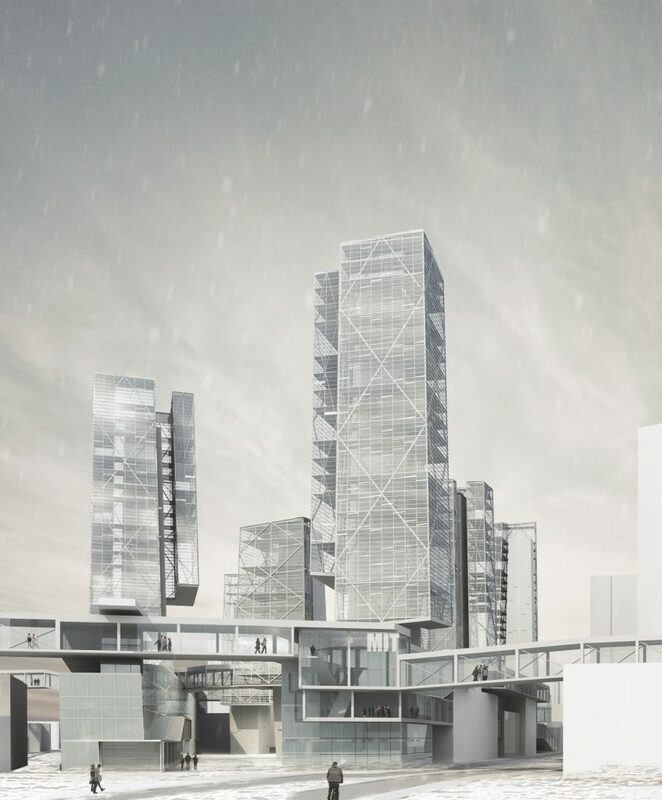 Both projects envisioned a sprawling system that could navigate existing conditions, whether it be post war London, or the metropolis of Tokyo. Both precedent projects dealt with the topic of strata. The Golden Lane project had alternating bands of public and living space, and utilized a mat-building typology to sprawl across a varied landscape. The intersection of these spaces along different routes would result in a grand public mixing space. Isozaki sought a similar approach. He saw the only way to develop more space was to go vertical. 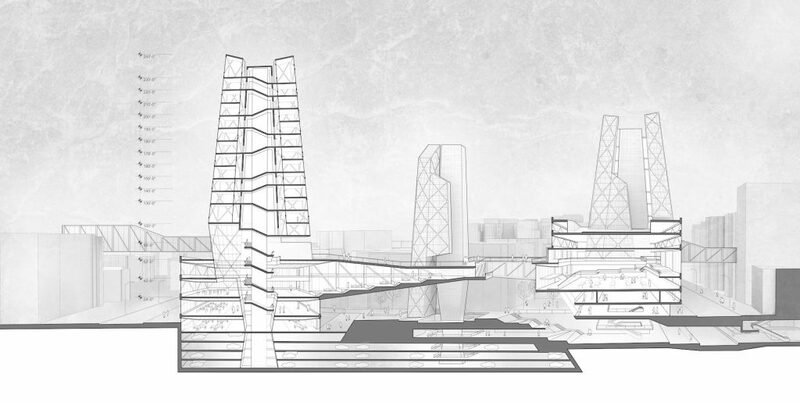 He created a new city above the existing urban environment by utilizing massive pylons to support a range of elevated programs. Luke and Greg’s design takes these principles and uses them to create a new precinct for MIT and Kendall Square. The building plinth weaves around the site, connecting the academic of MIT and the entrepreneur of Cambridge. The plinth is figuratively held in place by cores that reach out into the sky. When these systems meet, mixing spaces are created to allow innovation between everyone who uses the building. Around the cores, new towers emerge which allow for new, unlimited vertical growth. These two systems, plinth and tower, create a system which can grow along with MIT, Cambridge, and even further.